Alexandria Ocasio-Cortez—the freshman Congresswoman from New York, Boston University alum, and ally of Ayanna Pressley—really bugs a lot of the worst people online. 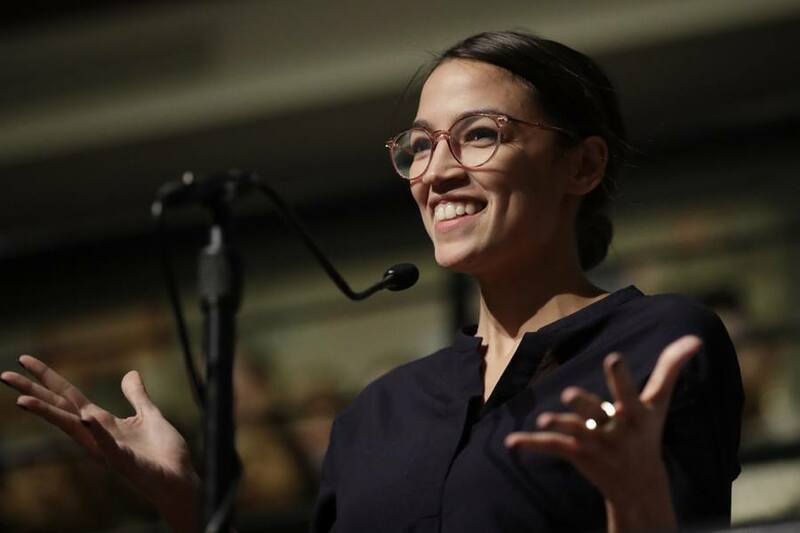 There’s just something about the combination of her outspokenness and lefty politics, her relative youth, and her bartender-to-D.C. backstory that breaks a certain kind of brain on the internet. Back in November, there was the Washington Examiner writer who posted a creepy photo of the Congresswoman-elect from behind, in an effort to, I guess, criticize her for having a nice jacket. The backlash was severe, and the tweet was so bad it became a meme. There has also been some (also creepy) dissection of her high school yearbook photos, as well as an ongoing obsession with the fact that she’s an advocate for lower-income people and yet grew up in a house. The footage was not actually from her high school days, but in fact came from her time as an undergrad at Boston University, where she got a degree in economics and international relations in 2011. In the original version, posted to YouTube in 2010, you can see Ocasio-Cortez and a number of her BU peers dancing along to the Phoenix banger “Lisztomania” and re-enacting moves from The Breakfast Club (this was a trendy thing to do at the time). The playful, if a little dorky, video was the work of a film student, who made it for BU’s Howard Thurman Center for Common Ground, where Ocasio-Cortez was a student ambassador. But later, as Ocasio-Cortez’s star began to rise last year, Baker’s cutesy dance video became a magnet for trolls. “I turned off the comments months ago,” he says. Versions of it continued to make the rounds in weird corners of the internet. One, posted to YouTube in July, refers to her as a “communista hottie.” A since-deleted post on LiveLeak from three days ago suggested the video showed she was “on drugs.” (Baker insists that is not the case. “We shot that at about 7 a.m.,” he tells me). Plenty on Twitter have come to her defense, and mocked the idea that the footage was supposed to be embarrassing. There is now even an account dedicated to edited videos of Ocasio-Cortez dancing to various songs.